The route for Paarl’s biggest mountain-bike stage race has been unveiled and presents a genuinely unequalled off-road journey over some of the finest mountain-bike terrain in the country. 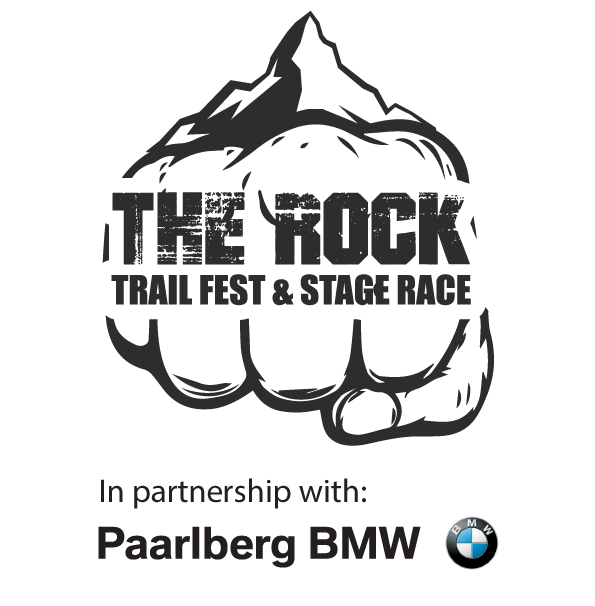 “The Rock” Stage Race, in partnership with Paarlberg BMW, takes place over the weekend of 28-30 September 2018 with lots of entertainment and fun activities to cater for mountain-bikers and trail runners as well as their families. The inaugural “Rock” starts at the Rugby Club in the picturesque town of Malmesbury in the Swartland. Malmesbury is the largest town in the Swartland and just 30 minutes’ drive from Paarl (shuttles and vehicle transfers bookings on the event site). Riders head out from the Rugby Club (across the road from MacDonald’s) on a 4km gravel road to get the legs warmed up before entering the first part of the Hero Adventure Trails single-track at 4km. This 8km flowing single-track section is the perfect welcome to this exciting event and gives cyclists a taste of what’s to come over the next 3 days. There are great views, ample flowing sections and mind-blowing terrain that you will remember for a very long time. At 12km the route takes a left down into the valley where the first waterpoint welcomes riders at 15km. It’s the perfect time to take a break and stock up. Over the next 15km the elevation really kicks in and the two big climbs of the stage must be conquered. This section is certainly the tester for the day, but it is not without rewards with sweeping single-track through some of the most spectacular private properties in the Swartland. It’s a veritable journey through history right up to the back of the Perdeberg Mountain to the second waterpoint at 30km. 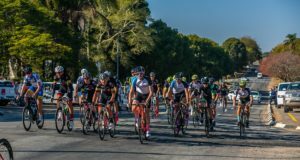 Once through the waterpoint the terrain opens as the route winds through open fields and riders get the first views of the majestic Paarl Mountain on their way to Paarl. The third waterpoint is set up at Boland Agricultural School and the school goes out of their way to welcome riders. Boland Landbou, as the school is commonly known, is renowned as one of the country’s best educational and sporting institutions and riders can expect amazing hospitality. From Boland Landbou, Rhebokskloof is almost in sight as the last stretch takes riders across the R44 (Stellenbosch/Wellington) and into Ridgeback Wine Farm. 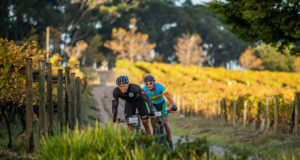 Riders will notice the perfectly manicured vineyards of Ridgeback as they make their way into Rhebokskloof where a short ride around the dam brings the stage to a close in front of the main restaurant at Rhebokskloof. Perfectly chilled beers, amazing wine, lots of food and an afternoon of great entertainment awaits at Rhebokskloof as the first day winds down. Day 2 is the fun day! Starting bright and early from Rhebokskloof where the previous day’s stage finished, riders only have a 1.2km section to stretch the legs and find their place in the bunch before heading into the first pocket of single-track. Make sure you are prepared – once riders are in the Pinotage single-track it’s a gradual elevating climb around the Western side of Paarl mountain into Ridgeback farm and then through the famous orchards of Olyvenbosch Olives to the first waterpoint at 10km. Once through the first waterpoint riders wind their way through a variety of vineyards, cattle fields and wheat plantations before taking aim at the newly built trail towards Landskroon Wine Farm and the second waterpoint. This section is part of the new Paarl Adventure Trail, which is opening later in the year. Riders in “The Rock” will be the first to experience this new trail! Once through Landskroon the race heads towards the famous Spice Route Destination where Hero Adventure have custom built a great network of trails. A 2.5km flow trail descent, which includes over 30 berms and a 5m bridge, takes the route down and under Suid-Agter Paarl Road where the third waterpoint is filled with beers and delectable snacks to munch on before heading out into a flat and fast playground. The trails are filled with great features and are bound to lift the spirits as you make your way to the finish line of day 2 at Spice Route Destination. Spice Route Destination has pulled out all the stops to provide entertainment and the afternoon will be filled with live bands, great food and a true festival of fun for the entire family. The last day of “The Rock” starts from Spice Route Destination and is a journey around the Eastern slopes of Paarl Mountain. The variety of terrain is second to none with trails starting off through Spice Route and Diamant Estate. A trip through Diamant’s secret forest is something to behold. It’s an almost ghostly section where movies such as Tomb Raider have been shot! A left turn and then the climb up to the Taal Monument is the first bit of hard work on the stage. This left turn onto the tar signals the start of a 10km climb up Jan Phillips to the top of Paarl Mountain. Although most of the climbing for the day takes place in this 10km, it presented on a gravel road. It’s open and eases its way up to the radio tower at the top of the mountain. The first waterpoint is at 15km and it represents the midway point up the climb. It’s perfectly placed for a much-needed break. At 20km riders take a right turn out of the reserve and drop down into the Hero Adventure Trails at Rhebokskloof. This section is better known as “the Superbowl” and riders can get ready for the Grand Finale – the next 25km is pure awesomeness! The second waterpoint is at 24km and overlooks Paarl on top of the mountain. The views are amazing and it’s the perfect time to stop and enjoy a chat with the friendly crew before heading down, around, in and out of the Shiraz single-track to the finish at the main restaurant at Rhebokskloof. The last 20km truly tops off a great three days of cycling and it’s just reward for completing the inaugural “Rock”. The afternoon at Rhebokskloof will again not disappoint with lots to eat and drink while enjoying the entertainment with family and friends. RELEASED BY DE VILLIERS CYCLING EVENTS, ON BEHALF OF THE ROCK STAGE RACE AND TRAIL FEST. MEDIA ENQUIRIES EMAIL DEVILLIERSCYCLING@MWEB.CO.ZA OR PHONE 083 269 7659.